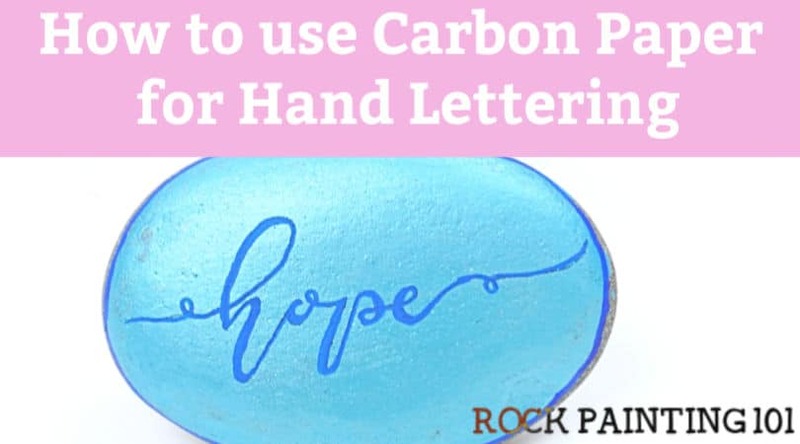 Hand lettering a single word is the best way to learn how to hand letter onto painted rocks. 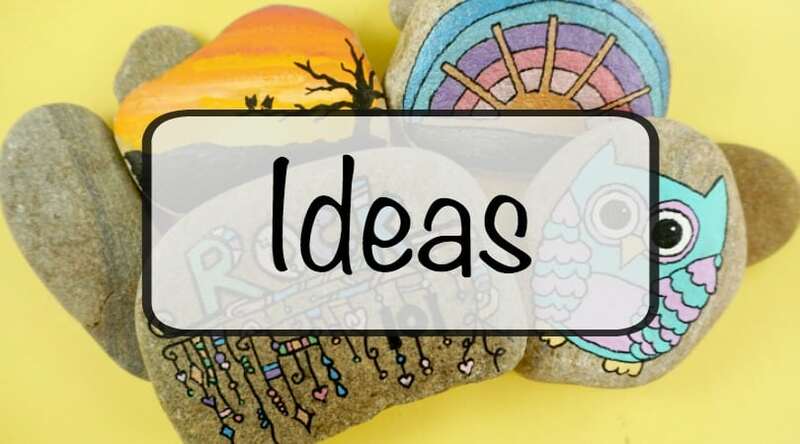 Check out these tips and video tutorial to create kindness rocks or holiday rocks! 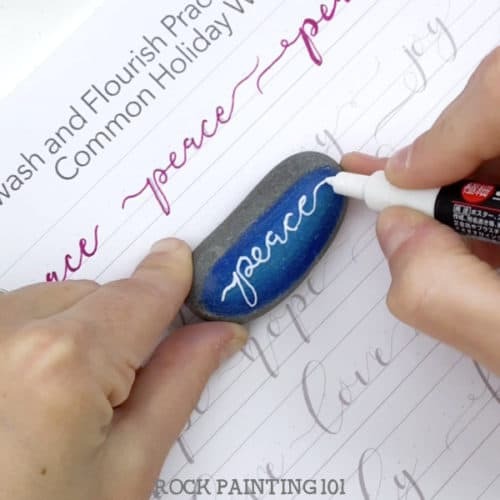 If there is one tip that might be the best tip for those that are beginners with hand lettering on rocks, it would be to only paint one word. No that’s the tip… only do one word! 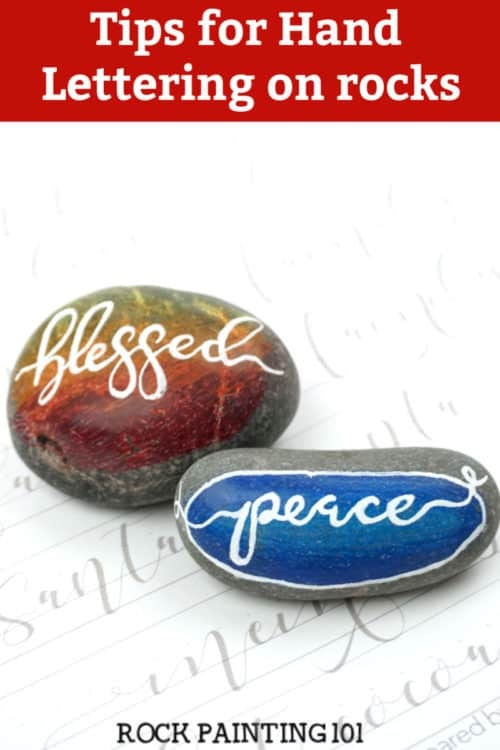 Trying to fit a whole bible verse or Christmas carol on a rock sounds nice, right. Without a lot of practice, all that will lead to is a headache. So let’s just start with one word. 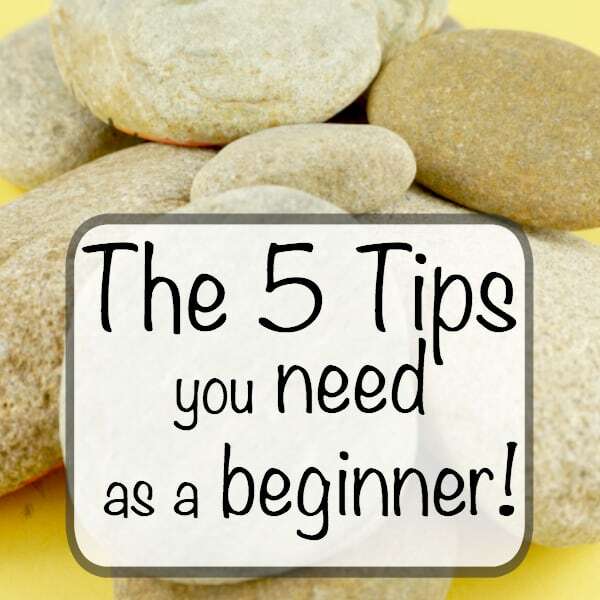 I have some tips for if you make mistakes along the way as well. 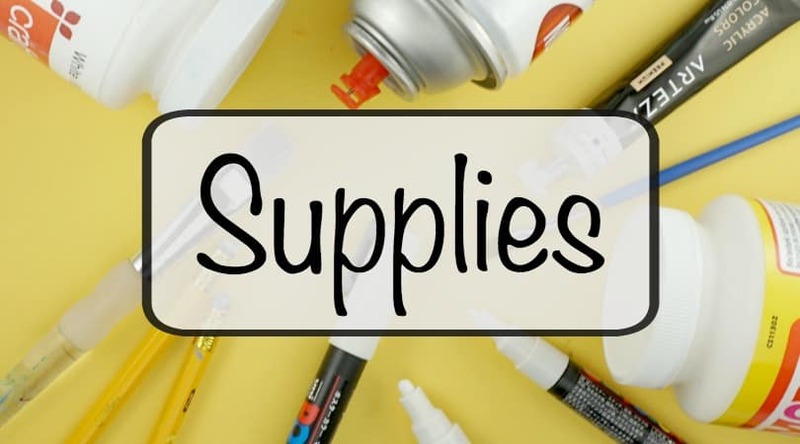 Need supplies for your rock painting? Check out our Amazon shop! A nice pointed paint pen like a 1M Posca paint pen really helps with this process. I couldn’t do any hand lettering if it wasn’t for a good set of practice sheets. 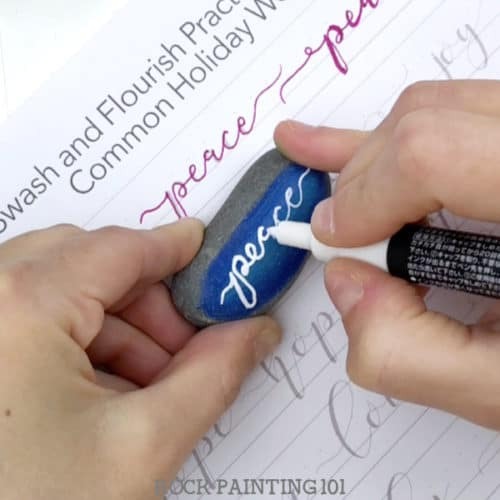 I’m starting today’s tutorial with a rock I made a background on using colored pencils. 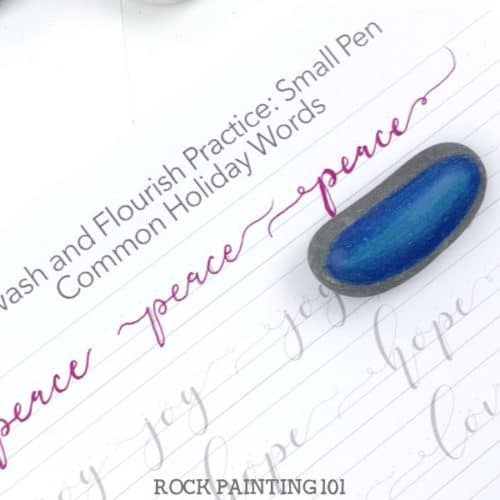 It gave it a nice smooth surface to write on which is something I look for if I’m hand lettering. I practiced my word a few times on my practice sheets. This is a must for me. Then I went to my rock. Start with just a single line for your word. 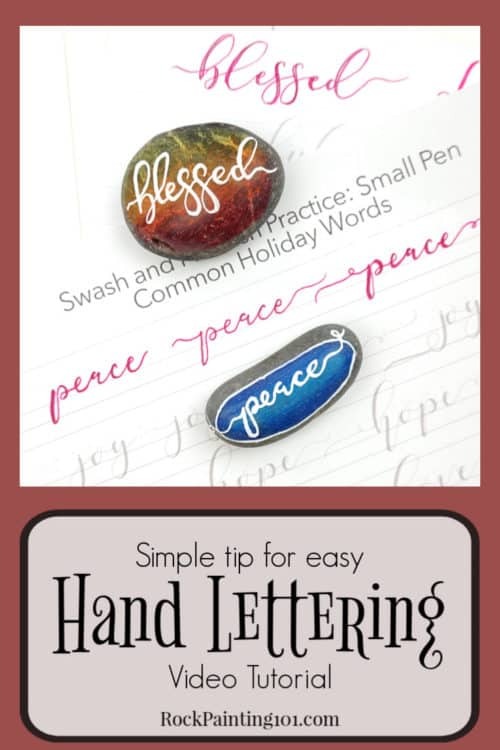 You will add thickness to your letters after. 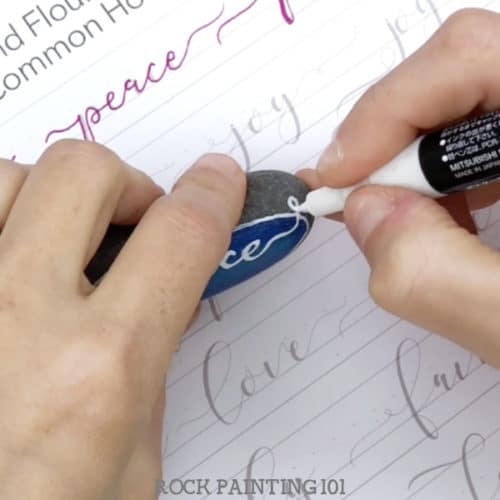 The down strokes are where you will thicken your line. Refer to your sheets if you are unsure. 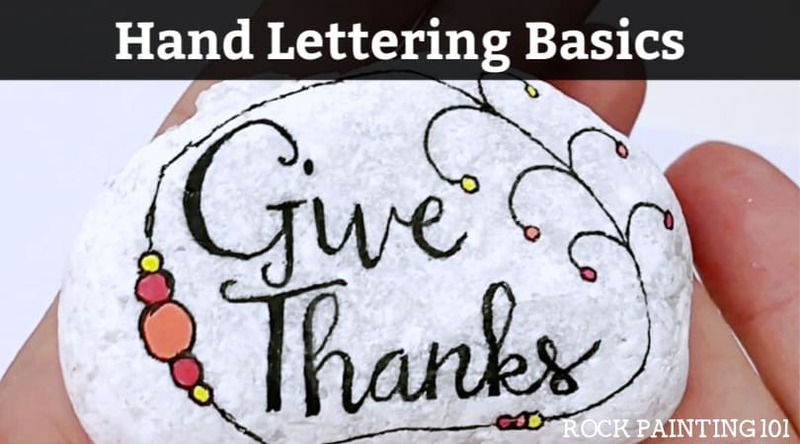 Work your way over all your letters until you like their look. 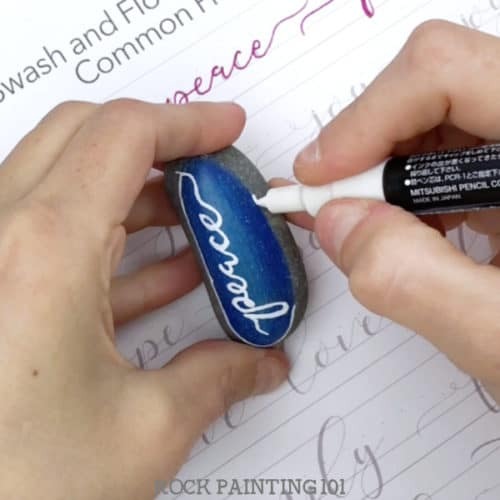 If you make a mistake you can take a pointed q-tip with a bit of water to remove your ink before it’s completely dry. 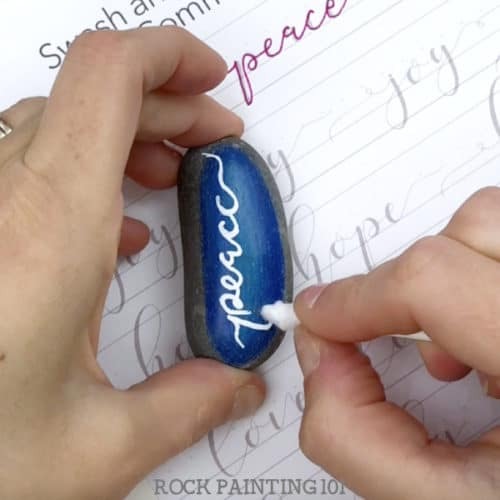 I like to add an outline to my rock. I also allowed my design to go a bit over the edge. 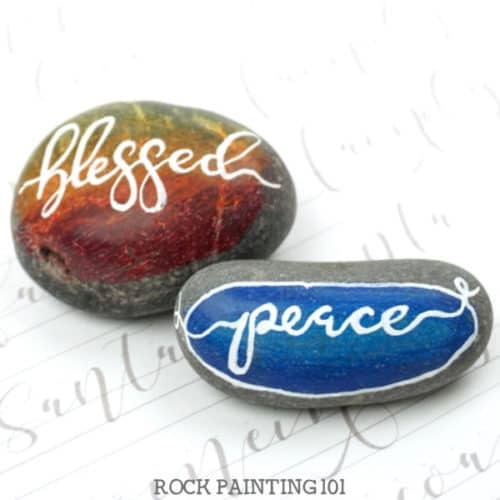 How to paint a word on rocks! 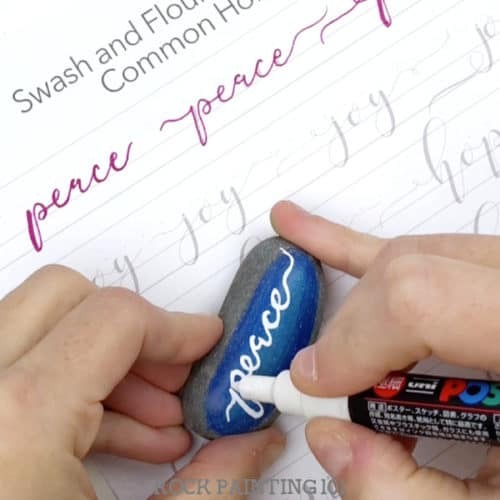 Pin this tutorial to your favorite Pinterest board!